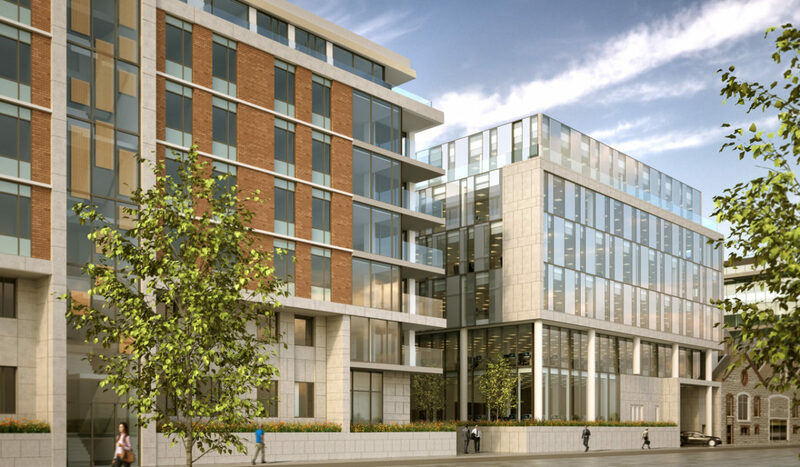 The six storey over basement office building extends to over 125,000 sq.ft. 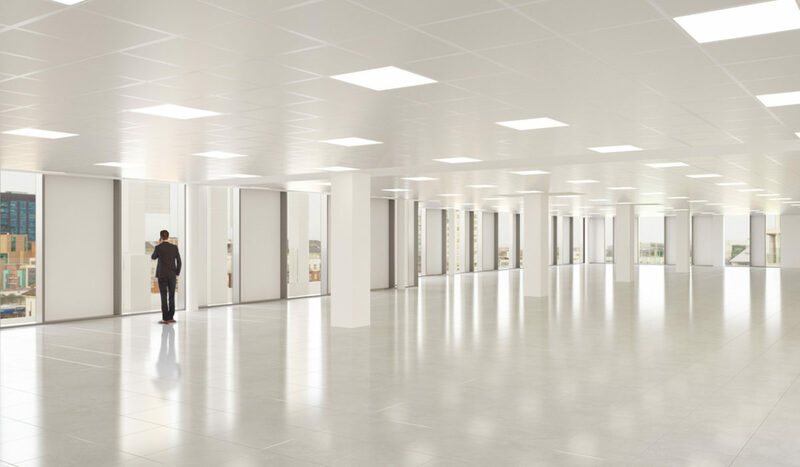 with floor plates of 23,000 sq. 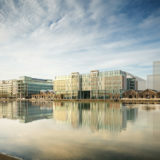 ft. finished to the highest standards, featuring LEED Gold V4 accreditation and A3 BER Certification. 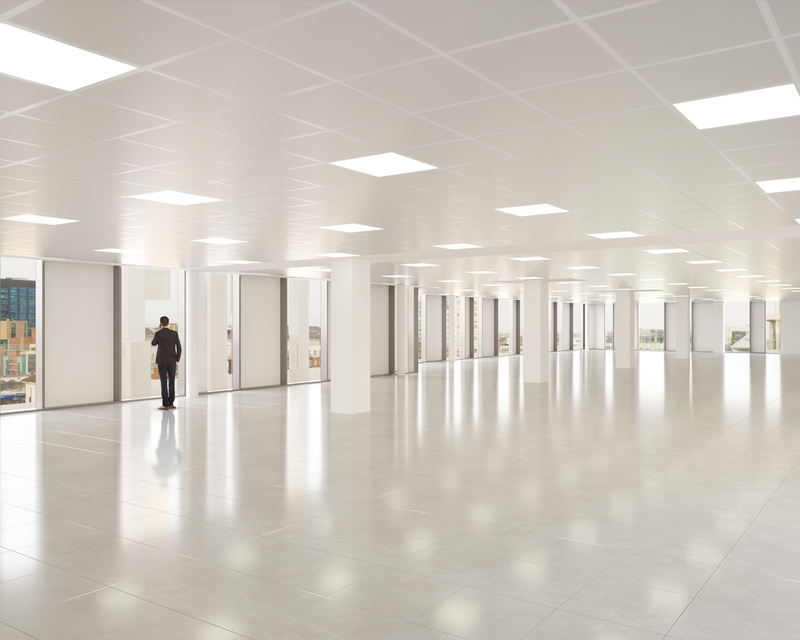 The building can be split in to two distinct wings (with separate entrances and generous receptions that have clear ceiling heights of 4m throughout), both with their own terraces. 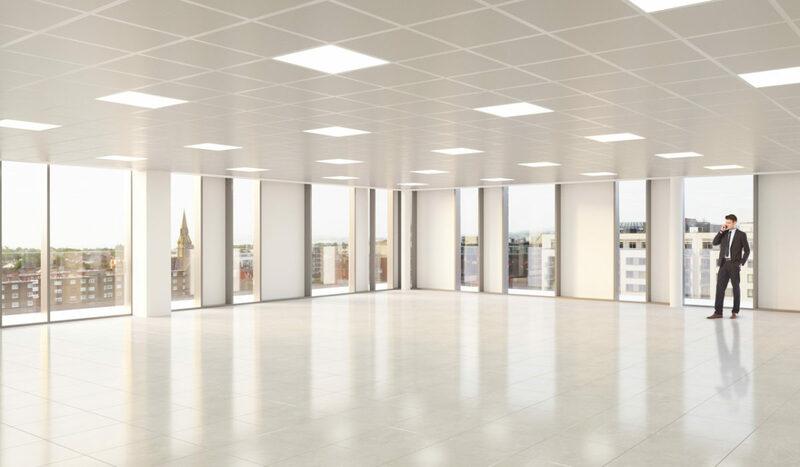 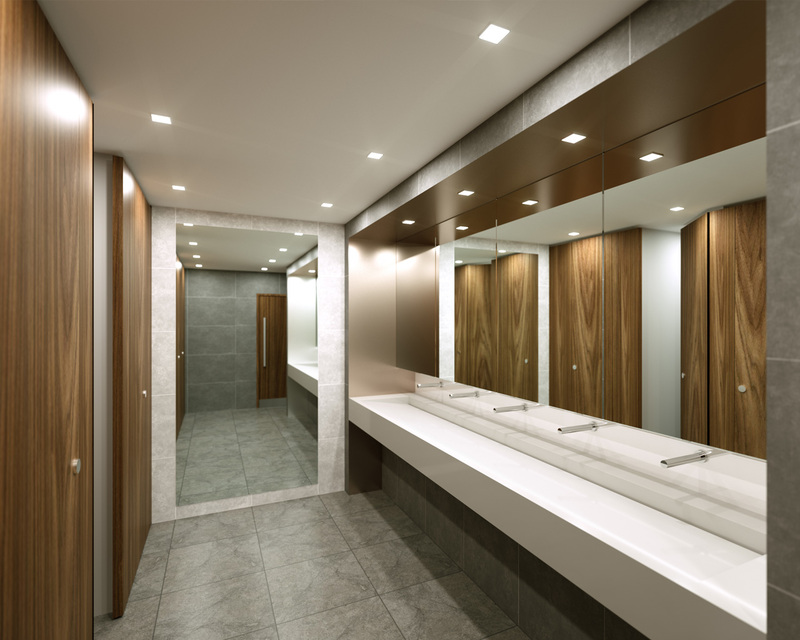 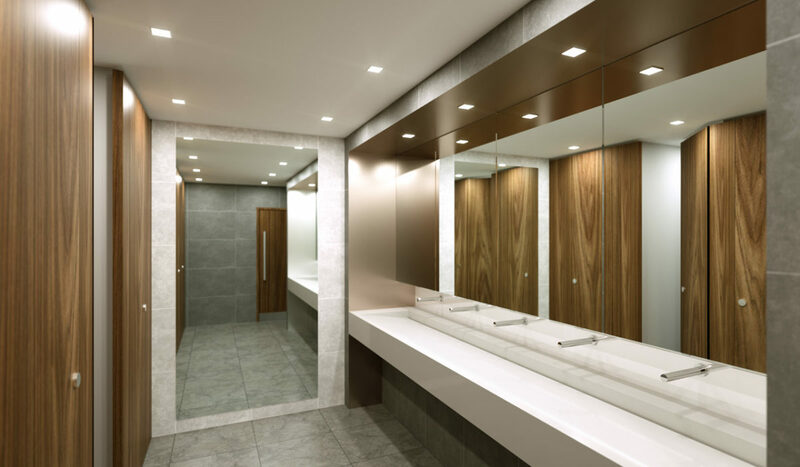 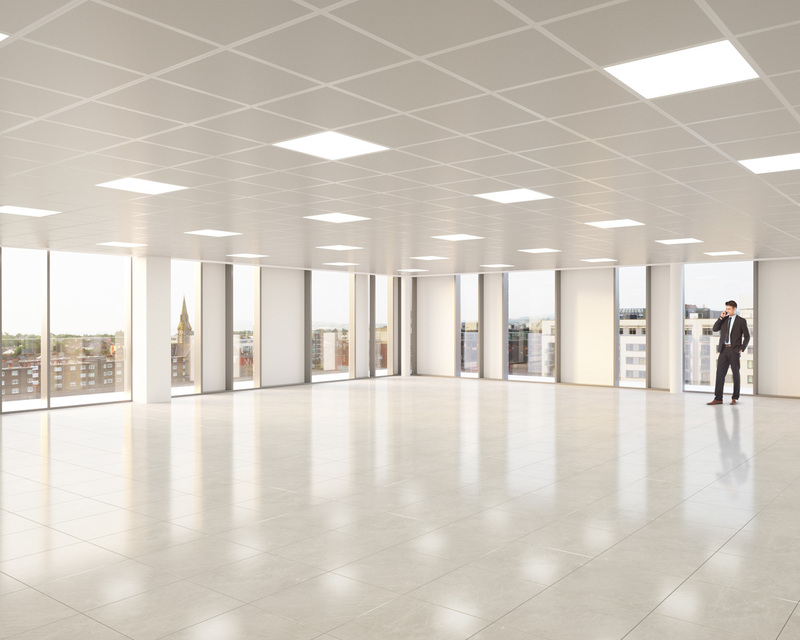 It has been designed to readily and efficiently split to accommodate requirements of all sizes from 500 square metres up. 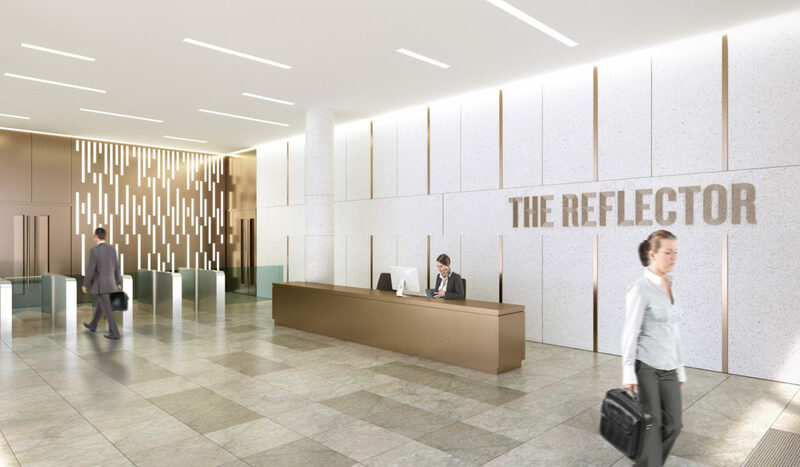 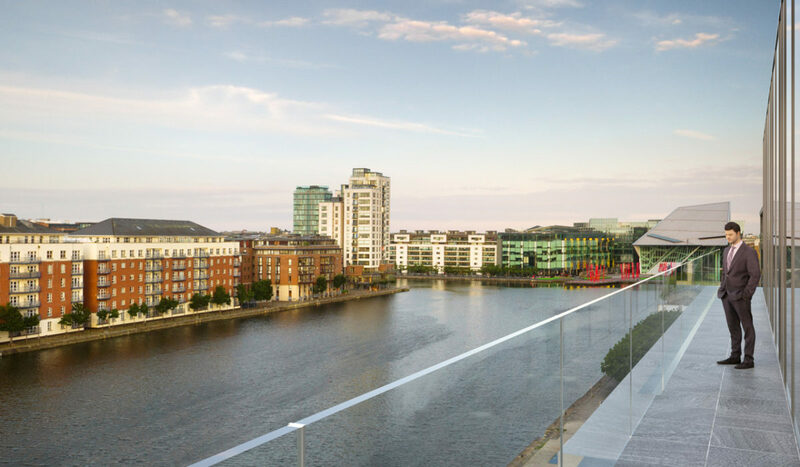 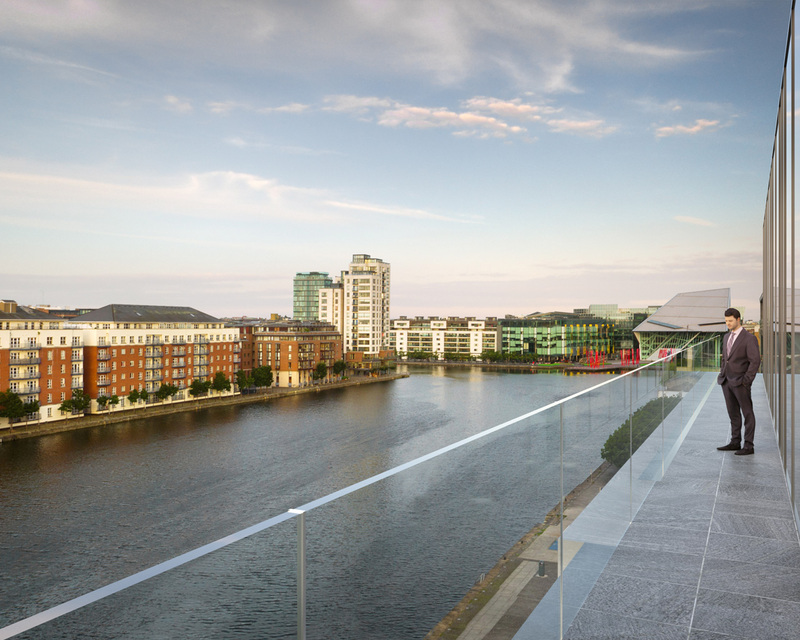 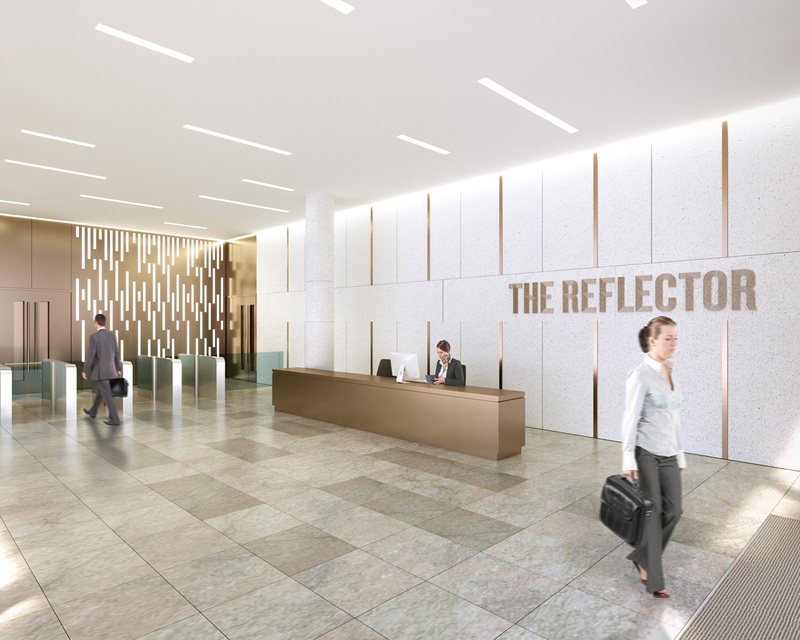 The floor plates have been specifically designed to maximise the space along the south facing, waterfront which has an eye catching design incorporating mesh panels in a waterfall formation. 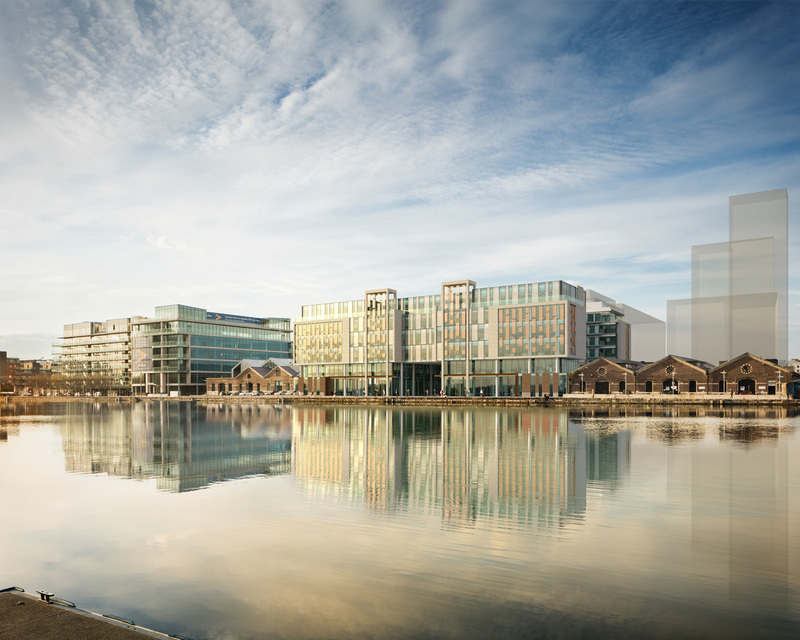 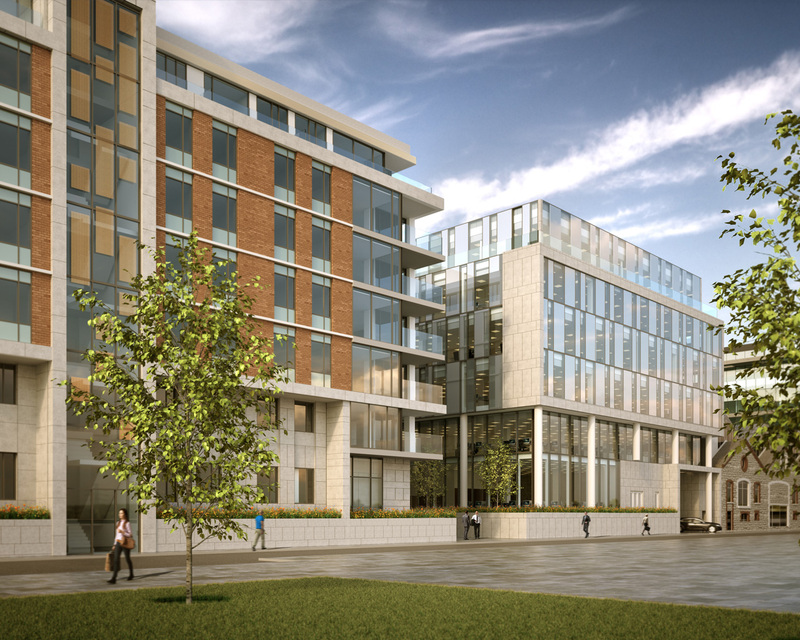 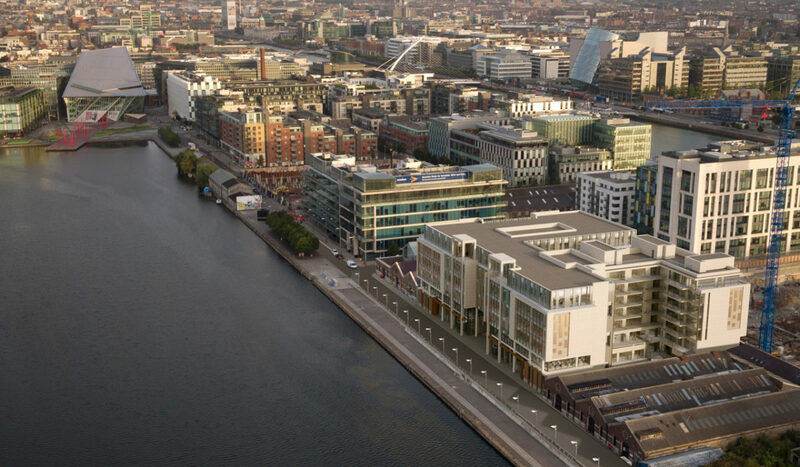 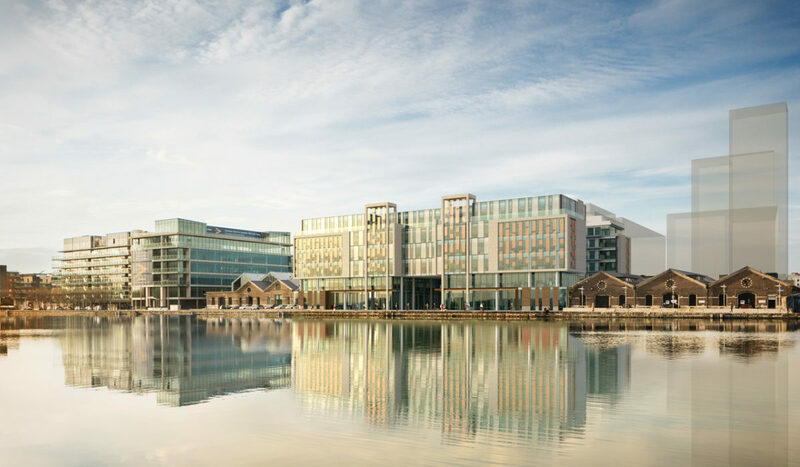 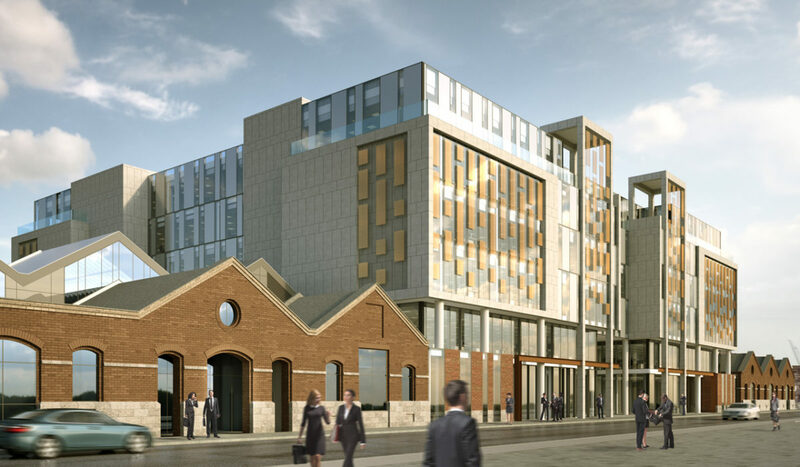 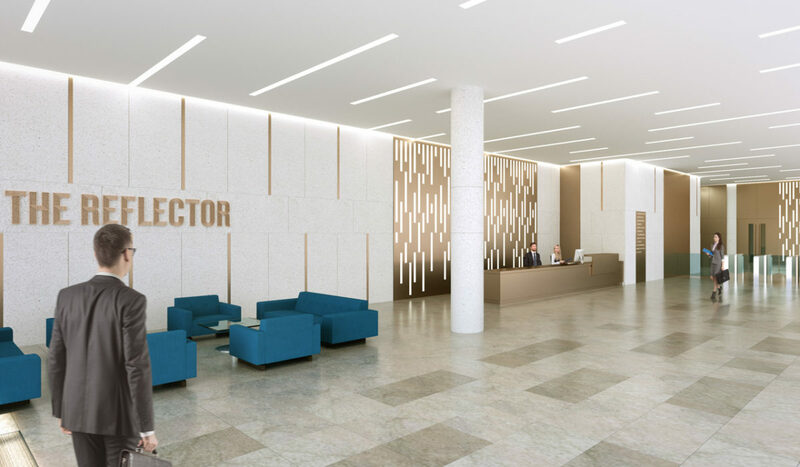 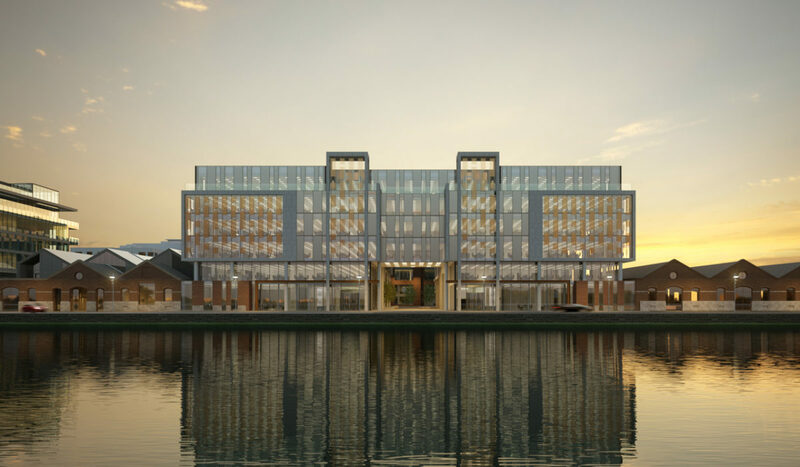 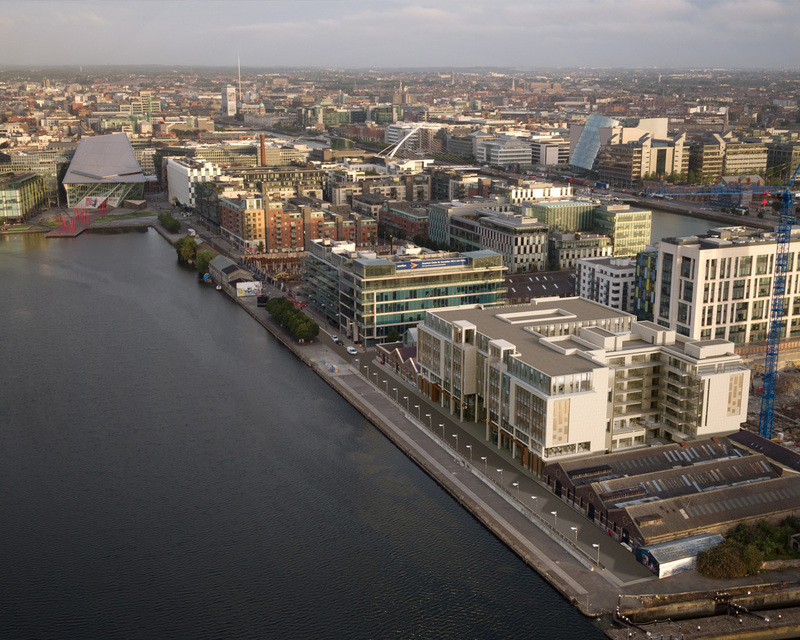 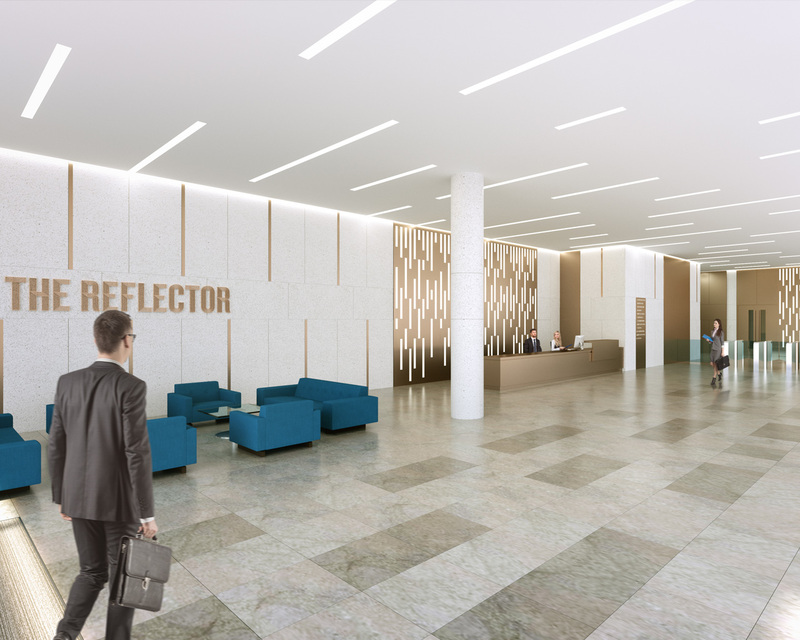 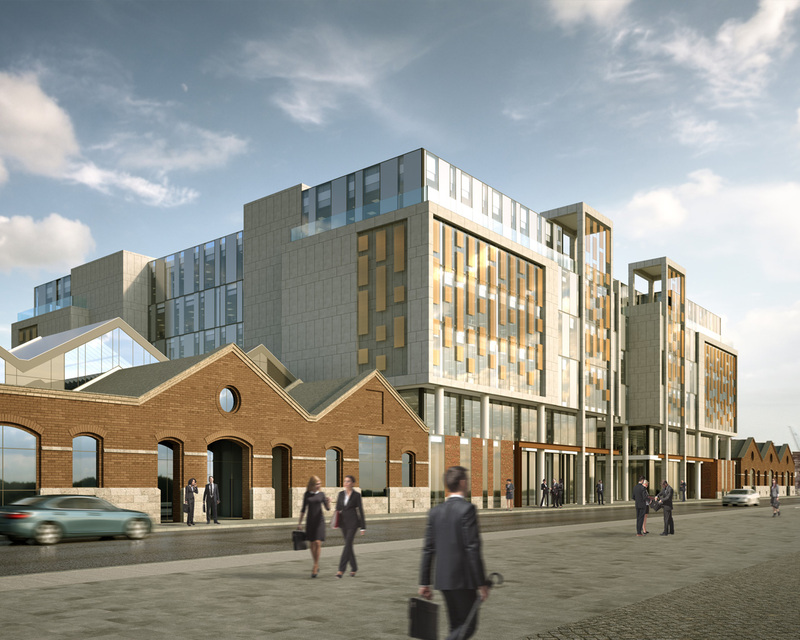 The building features a layout that provides dynamic, contemporary and flexible buildings which will enhance the existing waterfront environment. 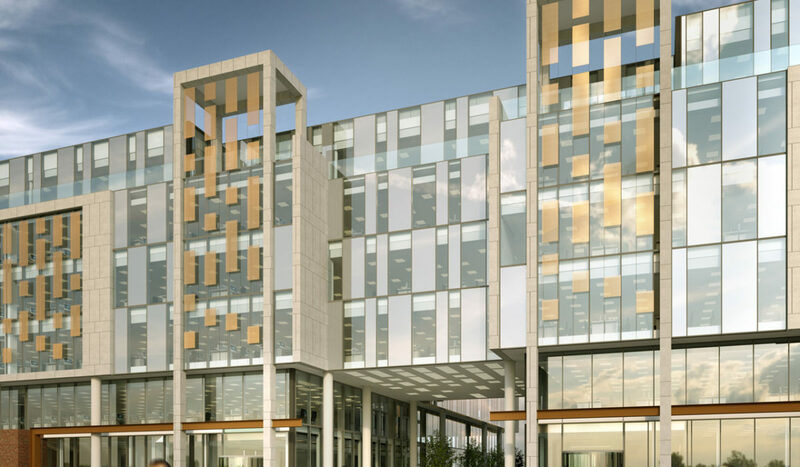 The unique exterior mesh design element will also provide solar shading without impacting the views from within the office space. 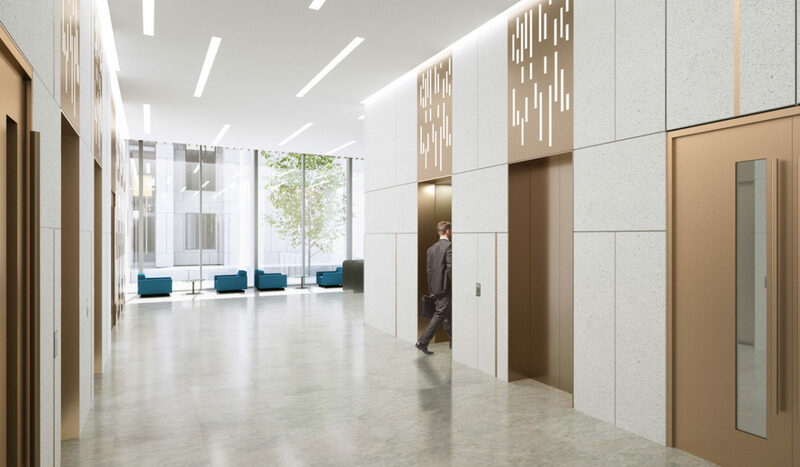 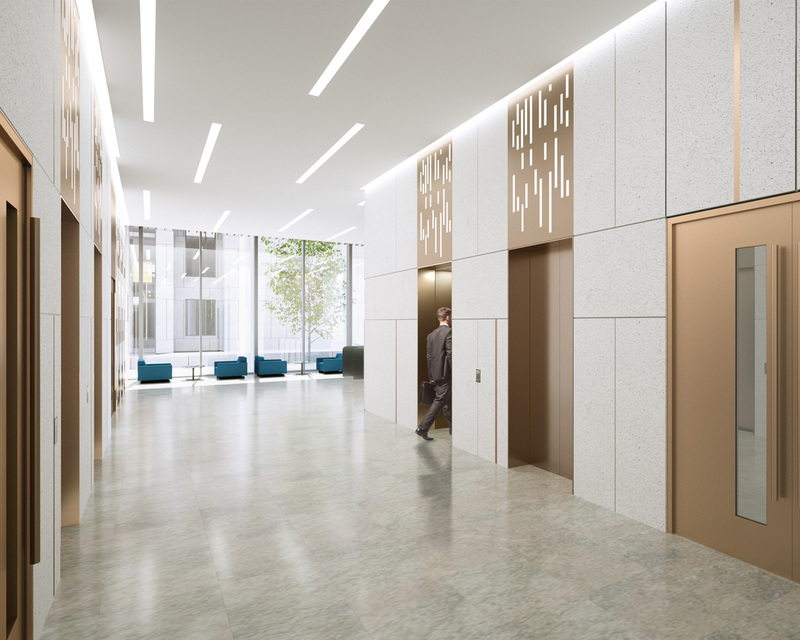 This cascading feature will be framed within a high quality stone-clad structure which is elevated above the street level to create a setback ground plane which will provide a relief and continuity for the adjoining low level buildings. 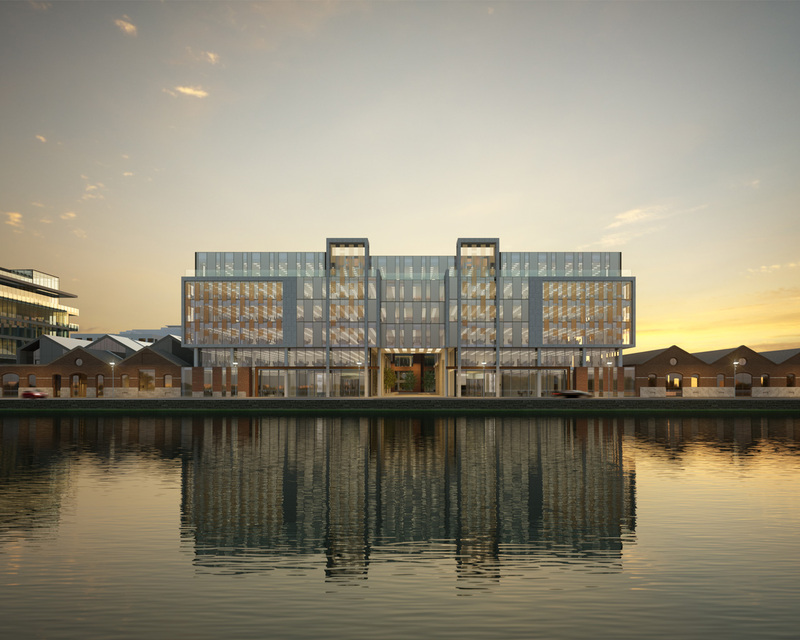 “The building elevations will include a dynamic facade design with a pixelated cascading metal outer skin to reflect the southern site aspect and the waterside location. 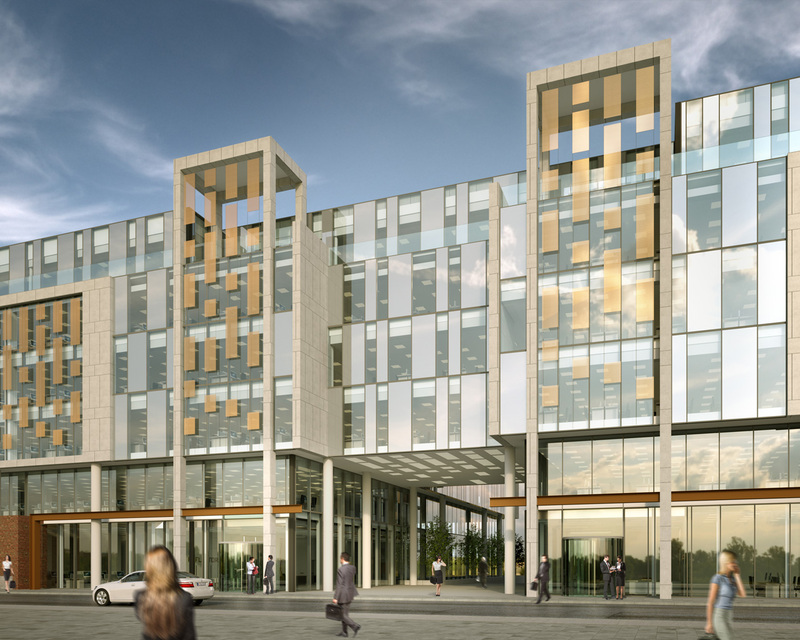 This will consist of high quality bronze coloured mesh panels suspended in front of the clear glazing systems”.